UPDATE! 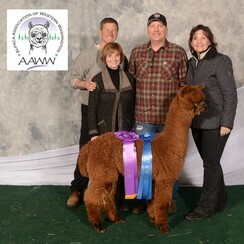 We have sold 1/2 interest in this beautiful young male to our fine friends at Crescent Moon Alpacas! 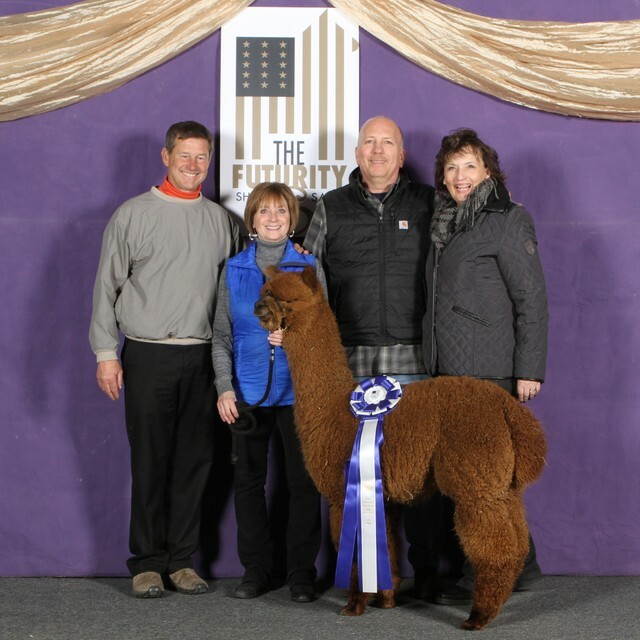 Thank you Scott & Debbie Miller! 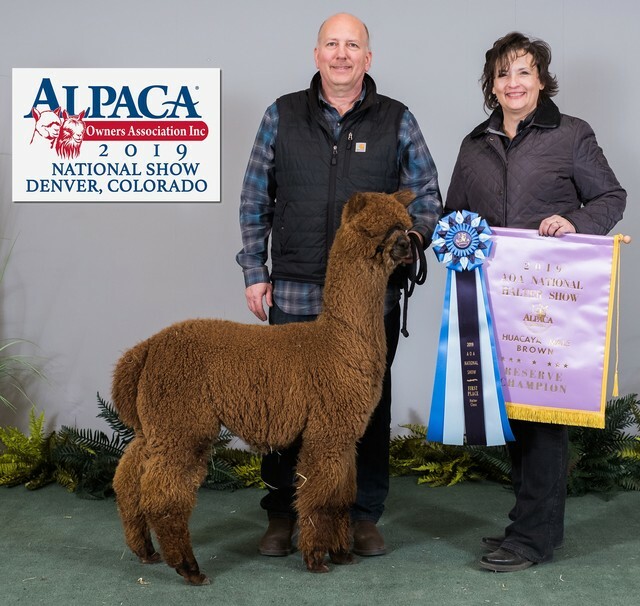 Manifest-Destiny is definite herdsire material out of exquisite parents – Liberty’s Magna Carta, 15X champion, 3x Judges Choice and AOA Dark Supreme Female Champion and Mr. Sizlin Rose (multi-champion)– from our friends at Red Granite Ranch. 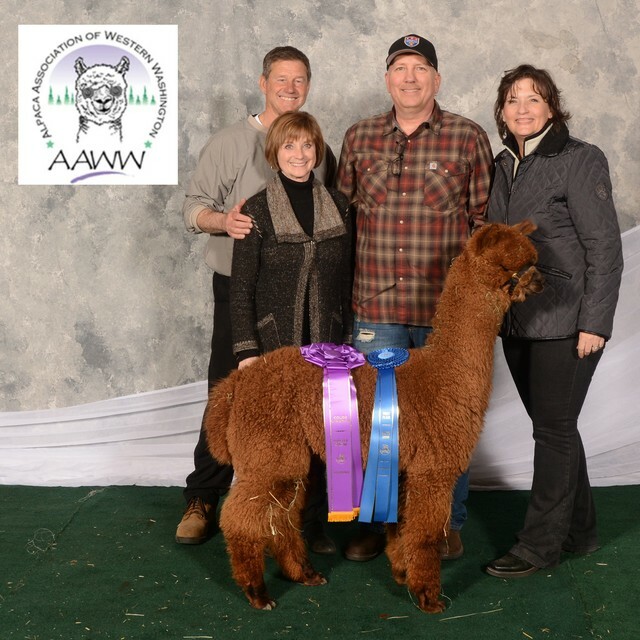 You’ll be impressed and agree that this boy will set the standard for quality for any breeding program that recognizes elite characteristics. This boy is a true class act!